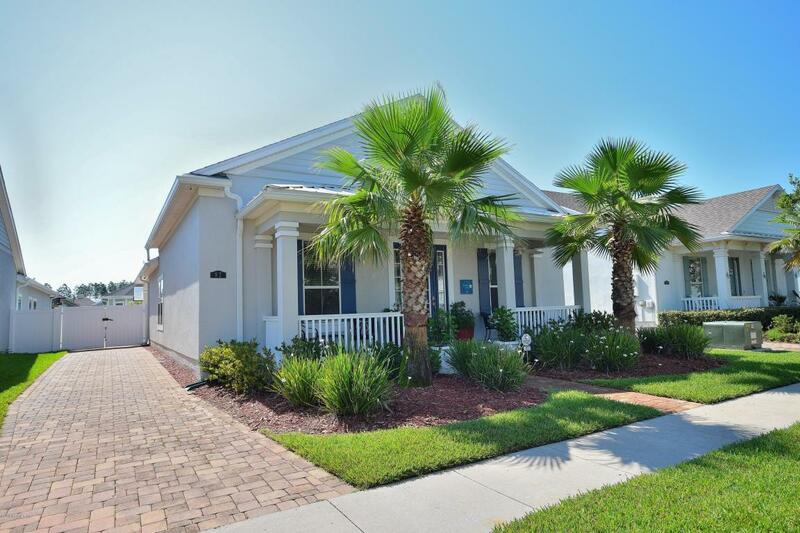 Enjoy the Nocatee Town Center Lifestyle in the convenient community of Lakeside. 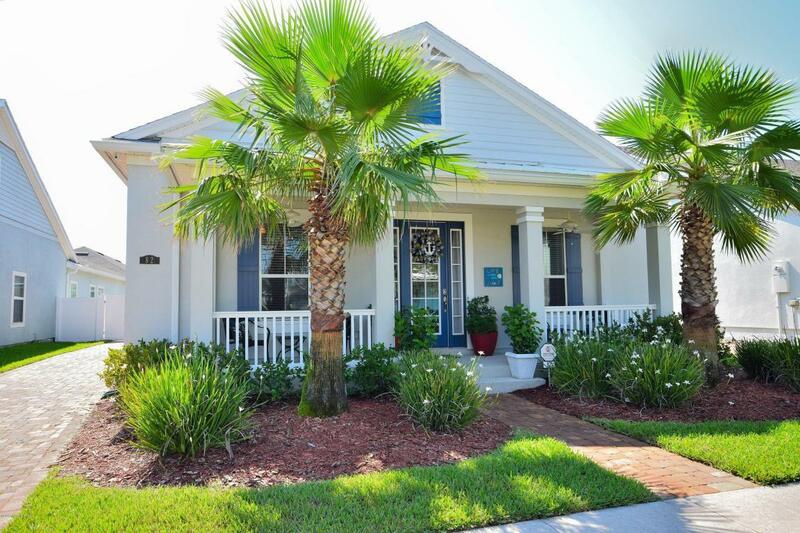 Walking distance to neighborhood park, Nocatee Town Center shops, pools, & Amenities Center. 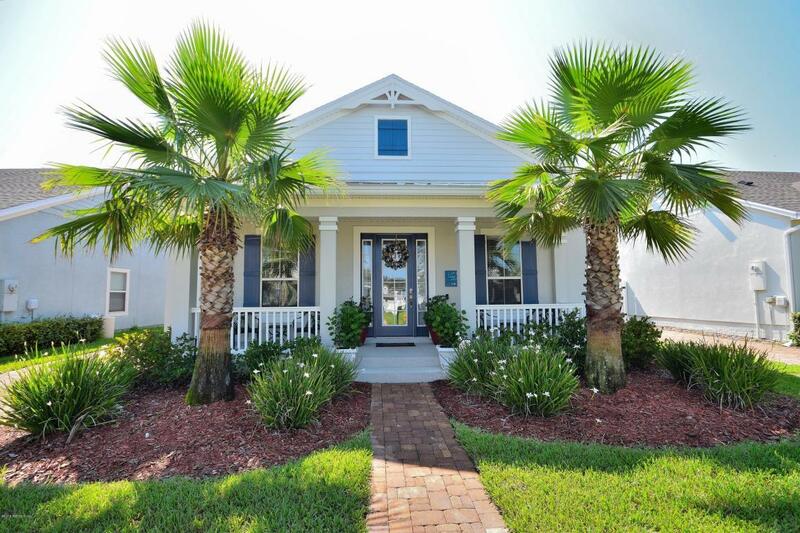 Spacious 1 story home features open floor plan that includes 2 separate flex rooms that can used as a study, formal dining room, home office, den, or child's play area (1 of the flex rooms has double glass french doors). 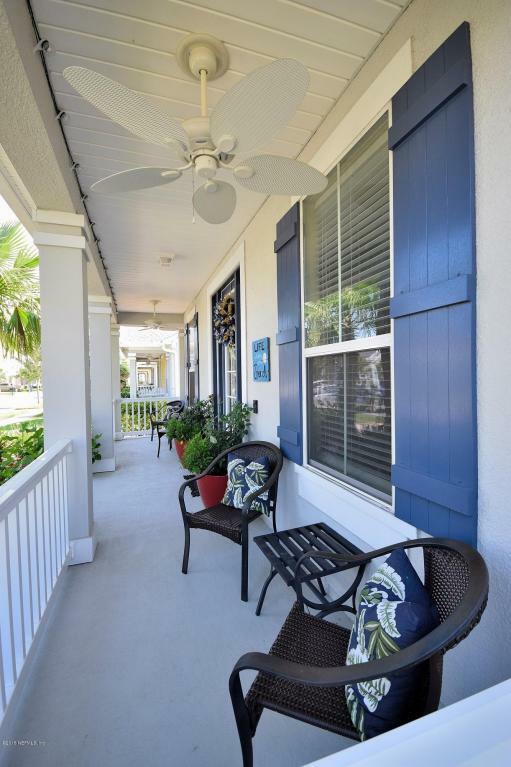 Beautiful gourmet kitchen has stainless appliances that include double convection wall ovens, 5 burner gas cook top, quiet wash dishwasher, microwave oven, refrigerator. Kitchen has granite counters, 42'' espresso cabinets, decorative pendant lighting, recessed lighting, large island with double bowl stainless sink.Dining area adjacent to kitchen. 18" ceramic tile flooring in kitchen, dining area, family room, master bedroom and both bathrooms. Wood laminate flooring is bedroom 2 and bedroom 3, and both flex rooms, hallway. No carpet in home. Ceiling fans in all bedrooms, family room, flex rooms, patio and front porch. Laundry room includes storage shelving and includes GE washer & dryer. Elegant master suite has spacious walk-in closet. Master bath includes raised height vanity with Corian counter/2 sinks, jetted garden style tub, walk-in shower, tv outlet for flat panel tv. Second Bath has raised height vanity with Corian counter. Private rear entry 2 car garage with service door/keyless entry and garage door opener. French door from family room hall opens to covered patio and paver open patio area. Sliding glass door from family room opens to covered patio. Additional features in this beautiful home include: tankless gas hot water heater, rain gutters, paver driveway and entry walk, vinyl fence. Home Automation by Nexia Home Intelligence System includes keyless entry on exterior doors. Convenient Stop & Drop area located beside laundry room and back door has storage cabinets and counter. 15 seer energy efficient HVAC system. 2" faux wood blinds. An abundance of natural light and storage closets. Located in Lakeside at Nocatee Town Center. Nocatee offers upscale resort-style amenities including Splash Water Park, featuring water slide, lazy river water park, children's pool, lagoon pool, playground and parks throughout the community. Planned social activities for all ages, exercise fitness center, dog parks, bike & fitness trails, kayak launch, tennis/basketball and more. St. Johns county schools - Opening for 2018-2019 school year, New Palm Valley Academy will open with grades K-6. Rising 7th & 8th graders zoned to these schools will attend the middle school to which they were previously zones. Nease High is high school. For more info call School Board (904) 547-7680.